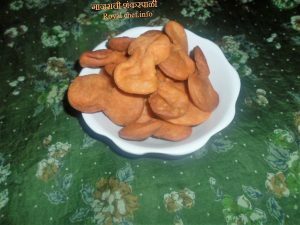 This is a Recipe for making at home Carrot or Gajarachi Shankarpali. This tasty Shankarpali is another one of my special Shankarpali experiments using Carrots as the main ingredient. This Shankarpali can be served as a Snack or even be included in the annual Diwali Faral Sweets to add more variety to your offering. Wash and shred the Carrot and then grind it to a mixture. Mix the grounded Carrot, Badi-Saunf, Oil, and Salt and then add the Soda-by-carb, Milk and Water as per requirement. Mix it well and prepare a thick Dough and keep it aside for 15-20 minutes. Then prepare four equal sized balls from the Dough. Roll the Dough Balls, one after the other like Chapattis and the cut them into diamond or any other shaped Shankarpalis, you can use a Shankarpali Cutter for this purpose. 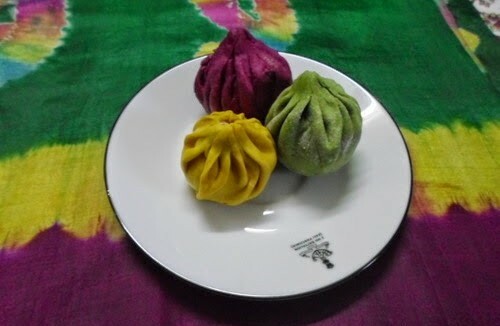 After the Shankarpalis cool down store them into a Plastic bag and then keep the Plastic bag in an air tight container.